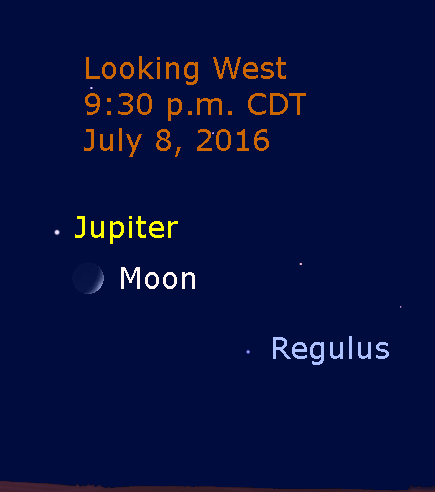 This evening (July 8), the moon appears near the bright planet Jupiter. The chart above shows the pair in the western sky at 9:30 p.m. CDT as seen from the Chicago area. Jupiter and the moon are separated by about 4.5 degrees. The bright star Regulus is to the lower left of the moon.